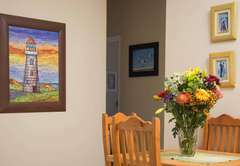 Island View F2 is a property providing self catering in Melkbosstrand for up to 4 guests visiting the Blaauwberg region. 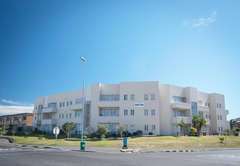 Island View F2 is an affordable luxury self catering apartment just 100m from the beach in Melkbosstrand. 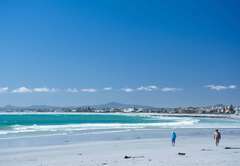 The area is known for safe beaches, an array of water sports as well as fishing and diving. Hiking trails are just 1km away and 4 x 4 trails are less than 2kms away. There is also a golf course 5kms away. 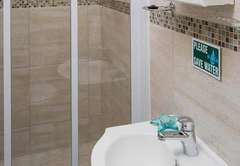 The apartment has two bedrooms. 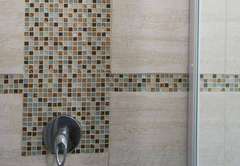 The main bedroom is furnished with a queen size bed and has an en-suite bathroom with shower. There is a television, hair dryer and fan in the room. The second bedroom has has two single beds and fan. A camping cot is available on request (linen not provided). 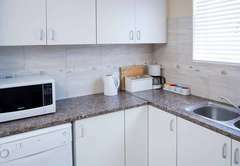 The fully equipped kitchen includes an under counter oven, hob, extractor fan, microwave oven, fridge/freezer, dishwasher, washing machine, tumble dryer, coffee maker, electric frying pan, slow cooker, toaster, crockery, cutlery, iron and ironing board. 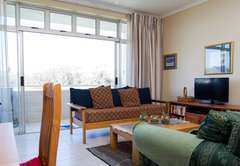 The living area has two single beds as well as a TV with DStv and a DVD player. Braai facilities are provided on the balcony which boasts views of Table Mountain. There is safe parking for one vehicle in the courtyard of the building. 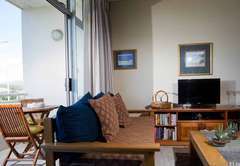 2 Bedroom unit 100m from beach. View of Table Mountain from balcony with braai. 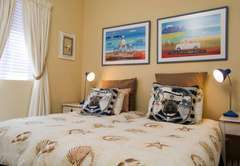 No sea view 1x Queen bed + en-suite bathroom + 1 bedroom x 2 single beds, 2 sleeper beds in living area (suitable for children). 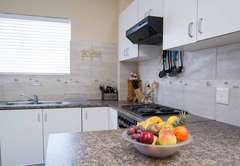 Fully equipped kitchen, DSTV, safe parking. Response timeIsland View F2 typically responds to requests in 5-10 minutes. Unfortunately no check in service after 22h00.